We are lucky at the VEWH to have two highly capable captains at the helm with a job-share arrangement between two Executive Officers. Over the last twelve months Sarina Loo and Trent Wallis have been a dynamic duo in the job-sharing role, bringing their skills, knowledge and extensive networks to make the Co-Executive roles a success. 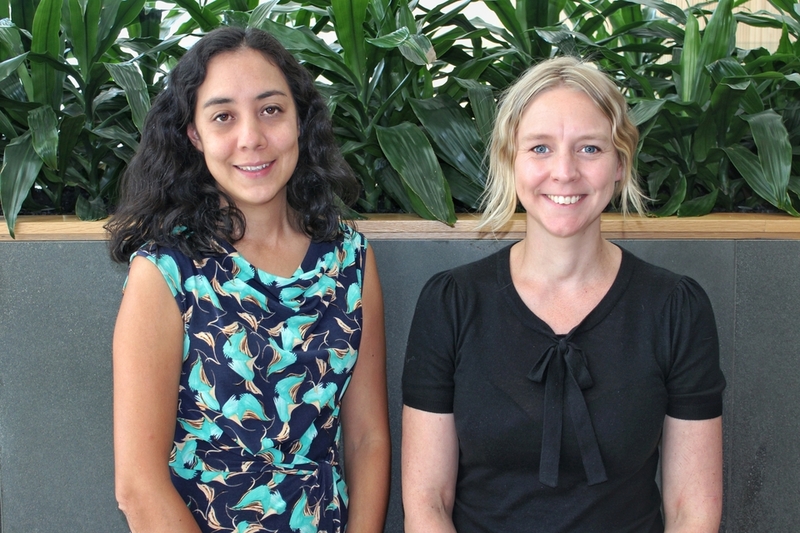 In February Beth Ashworth jumped back into the role after 12 months' leave, continuing the job-share arrangement with Sarina as Co-Executive Officer, with both working three days per week. Sarina says trust is crucial. "You need to get used to letting go of work you've started and trust that the other person will pick it up and finish it to the same high standard that you put upon yourself." Beth says the job-sharing is an excellent example of how flexible arrangements can work at senior levels. "It's great that the Commission has been so encouraging of arrangements that allow me to balance an Executive position with being a mum." Trust and respect your partner: a good working relationship is critical for a job-share to work. Being able to work collaboratively on solutions and not wanting to be precious and have things your own way is essential. You have both been appointed into the role because your employer believes you can do the job. You need to take a team approach and know that on your days off your partner is fully capable of delivering results to the same high standard as you. Lift your gaze and let go of the little issues and embrace diversity. Put your ego aside and organisation first approach: team and organisational outcomes must come first. Be prepared to start something and have the other person finish it off. Swings and roundabouts means there will be times when you get to finish off the important task or give the high profile presentation, whereas at other times they will. Take primacy on some projects, but be across everything: as a leader you need to be across the business and able to make a decision on any matter on any given day. But working part-time means it is difficult to be across the detail of all projects. You should both identify which projects you will take the lead on for detailed review and input and those you will support or keep a watching brief. Have an overlap day: it is fundamental to allowing your relationship to form and trust to be built. It is essential for strategic meetings, team coordination and minimises handover difficulties. The organisation pays a little bit more in salary, but the extra resources and benefits far outweigh the small additional cost. Have good handover processes: trial what works best for you both. You might prefer face-to-face talks (where possible), written handover notes, a shared task list or a phone conversation. Get a joint email address: this enables you to both see all correspondence that comes in and goes out. Using a joint email also signals to staff, executives, board directors and other stakeholders that you are both equal and united in the role. Make time to stop and think together: don't overcrowd the overlap day with meetings. The benefit of having a partner in the role is the ability to chew the fat over strategic issues. Two brains are better than one, so capitalise on it when you are together. Minimise duplication/double handling for staff and stakeholders: if one of you has reviewed a document, then the other just reads it for information. It is tempting for you both to review everything, but you will burn out and it adds too much review time for staff. Whilst you both might have valuable insights, make sure they are captured in conversations that set the direction of the project, not in wordsmithing the final product twice. This also goes for meetings on your overlap day with key partners, stakeholders and staff where it is not always the best use of time to have the two of you at each meeting. Be persistent at overcoming IT and HR issues: many IT and HR systems and processes can't handle the job-share arrangement. Keep advocating for a solution until you find the right person who will innovate or find a workaround. Don't take no for an answer. Be the ice-breaker as those behind you will appreciate it. Job-sharing is only going to become more popular and our systems need to keep up with the times and be built (or retrofitted) to support flexible working arrangements. Be prepared to take quick phone calls on you days off: it doesn't happen often, but sometimes a big decision needs you both to contribute or be comfortable with the direction taken. Be open to taking short phone calls on your day off for critical matters.